«Fungus» s.s. agricultural farm is born in 1984 composed by two greenhouses only in the aim to check the opportunities for a small company in a sector judged as static and lacking innovative ideas. Considering the experience acquired during the two first years of activity, it's been decided to keep on investing in technology: four more greenhouses were built in 1986. Since 1992, when the company reached its actual size, it's become competitive in the fresh product market. Actually it's made of 8 + 2 tunnels equipped with zincate steel cultivation plates controlled by Gicom B.V. Dutch informatic system and by Dofra irrigation systems. In doing so, we achieved the main aim regarding an almost familiar direction of the company together with the use of the best technology, in order to take care of the product quality. 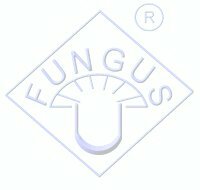 Due to the impossibility of expanding the area of the company and on the base of the decadal experience in the Cooperativa Veneta funghicoltori, in 1998 we decided to administrate the "Funghi del Friuli" firm with three partners, giving it the new name Friulfunghi. Counting on the obtained success and on the achieved results (e.g. Haccp and 626,ISO9001 e ISO8000 certifications) we are planning a structural expansion in Friuli. «FUNGUS» agricultural farm rises in Cordignano, a small town in the province of Treviso, close to the border between Veneto and Friuli Venezia Giulia. 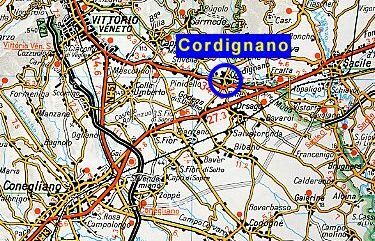 Cordignano is placed between the towns called Vittorio Veneto, Conegliano and Sacile. ©2003. Farm Agricultural FUNGUS Cordignano (Treviso).